Firearm injuries and fatalities in Georgia are a fraught topic and the range and complexity of these cases are rarely correctly understood. Gun violence can take place with legally or illegally sold weapons, and gun violence can be either deliberate or accidental. In some cases, gun accidents and injuries involve negligent behavior, and accident victims may be able to seek monetary compensation under the law. Gun accidents can have devastating consequences, causing catastrophic physical harm as well as long-term psychological trauma. If you or a loved one has been injured or fatally wounded in a firearm accident, you may need the assistance of a skilled and knowledgeable Georgia personal injury attorney. At Van Sant Law, we understand the shock and tremendous upset that an accident involving a gun or other firearm can cause. Although it can be difficult to establish which party or parties can be held liable for damages resulting from such an accident, our firm employs skilled investigators to establish all contributing factors to the accident as well as exactly what damages were incurred. We take on both personal injury claims and wrongful death claims. Who is Liable for your Georgia Firearm Accident? Firearm injuries can be the result of kids playing with loaded weapons, unintentional accidents while hunting, a firing range error, or intentional crimes. However, the most important question to ask when investigating the legal aspects of a gun accident is, “Who was liable for this accident, and should this accident have been prevented? The weapon’s manufacturer. If your injury was caused by a gun or ammunition malfunction, the entity responsible for making or assembling the product may be at fault for damages. Gun product liability cases usually involve firearms with poor design, defective firearms, or firearms that don’t come with proper instructions or warnings. Defective firearm accessories may also be to blame. The weapon’s retailer. If the gun was not sold in a legal manner, or if the gun was knowingly sold to a disturbed, incompetent, or under-aged person, the gun’s retailer could be found liable for the accident and injury that follows. The weapon’s owner. Parents who leave weapons and ammunition unprotected or accessible in their homes can be found liable for firearm injuries caused by accidents involving children. More generally, anyone who does not properly care for their firearms or keep their firearms reasonably safe from others may be liable for any injuries and losses that follow. The weapon’s user. Obviously, the person who actually pulls the trigger may be liable for the damage they cause. This is often true when the gun violence is associated with a crime or intentional firearm use. The owner of the property where the accident took place. 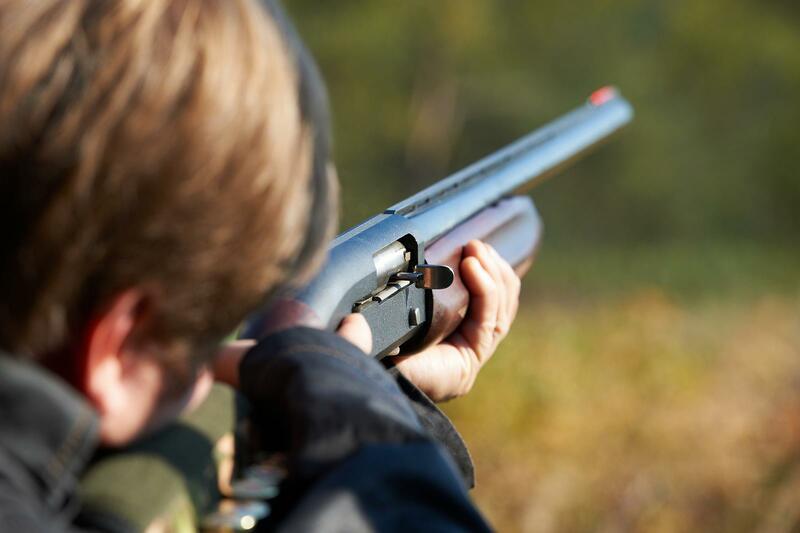 If you or your loved one was injured by gunfire while on someone else’s property, your attorney may investigate whether the property owner was keeping visitors reasonably safe. For example, if you were assaulted in a dark parking garage that did not have proper security, the owner of the garage may be at least partially to blame. In some cases, more than one party may share blame for your gun accident and injury. If evidence shows that someone else was indeed liable for a firearm injury or death, they may be legally obligated to pay for related damages, including medical expenses, pain and suffering, lost wages, and mental anguish. It is all too easy to simply just blame the gun or just blame the shooter after a firearm accident. However, the truth might be more complex than that. In the wake of a shooting – whether accidental or intentional – it is vital that you understand all aspects of the case, from whether negligence was involved to whether laws were broken. At Van Sant Law, we are dedicated to helping gun violence victims understand their case, their rights, and their legal options. To schedule a free, private legal consultation, or to ask a question about your case, call us today or fill out our online contact form.